We announce the release of a digital EP "Why Do I Love Her?". 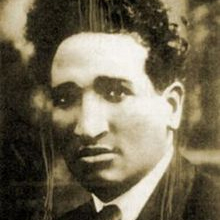 - "Mama Don't Allow", an American blues number Reem used to sing to her mother. 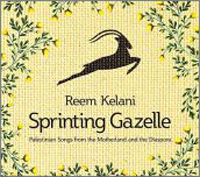 Meanwhile work continues apace on Reem's next album This Land is Your Land, and recording work will commence in early 2019. 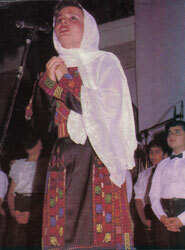 The album will comprise songs from the communities alongside which she grew up in Kuwait. Most of the songs relate to countries targeted by Trump's anti-Muslim travel ban. 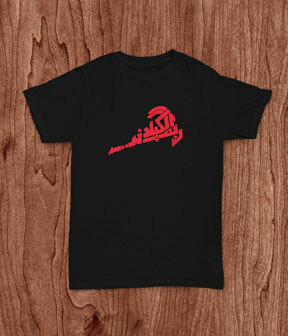 They will reflect her journey through the musical cultures, not only of the Middle East, but of many 'others'. It will be, says Reem, 'a celebration of diversity and difference'. 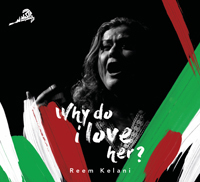 Reem Kelani - Palestinian singer, musicologist and broadcaster - was born in England, raised in Kuwait and now lives in London. 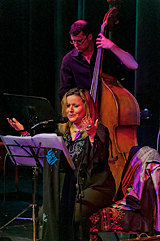 Working in the Diaspora, Reem has introduced countless non-Arab musicians to Arabic and Palestinian music. 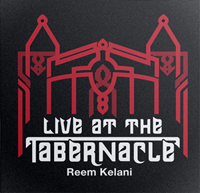 Reem Kelani - Live at the Tabernacle saw its release on 11 March 2016.